The bike that is arguably the most stylish competitor in the most stylish segment of motorcycles is looking even better for the 2019 model year. 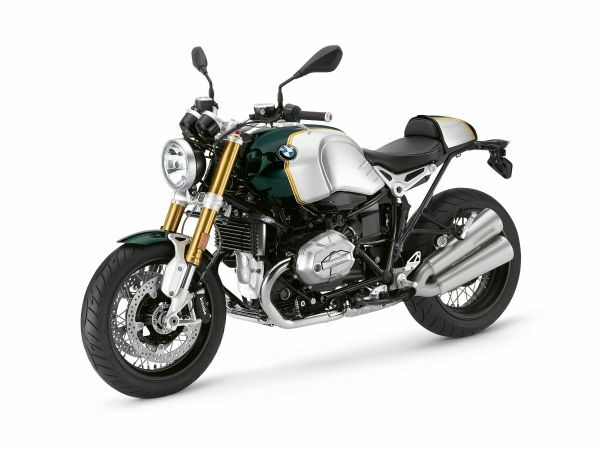 The BMW R nineT line of heritage motorcycles is now available with what BMW Motorrad calls “Option 719” paint schemes and each one is more stunning than the last. Option 719 refers to a line of parts made by the BMW Motorrad Spezial customization department. They’re special milled parts you can order to give your BMW motorcycle a more exclusive appearance and now there are paint jobs to go with them. 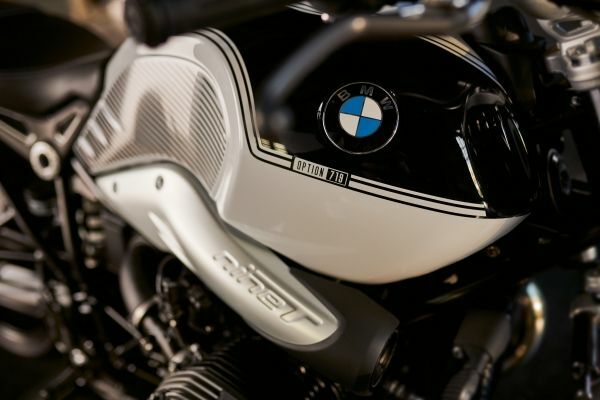 Every variation of the R nineT gets at least one Option 719 treatment except for the Urban GS. The standard R nineT is available in a very bold color scheme with red and two shades of blue on the tank and the number “719” in an enormous font on either side. The other new Option 719 paint job is a more subtle approach with a two-tone green and gold look that looks very nice with the bike’s gold front suspension. The entry-level R nineT Pure gets two different Option 719 color schemes. They’re basically the same design, but with different colors, one being black and white and the other being yellow and black. 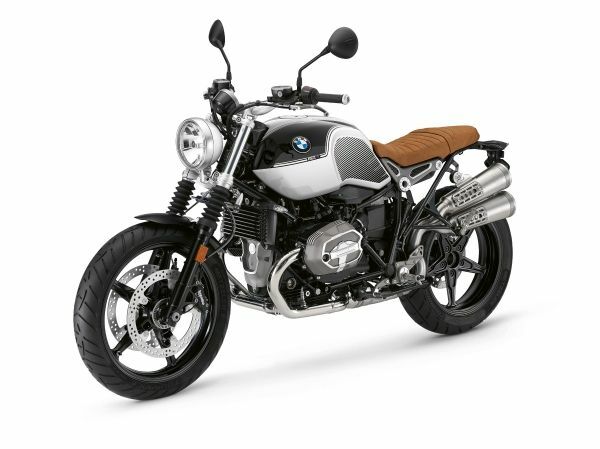 They both give the R nineT Pure a bit more of a sporty, custom vibe. 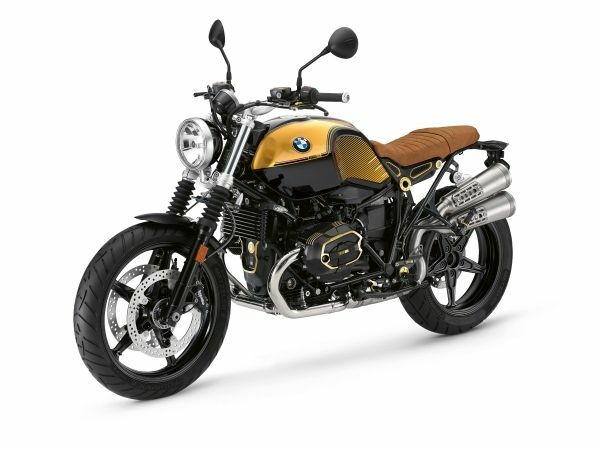 Speaking of sporty, a very similar yellow and black Option 719 paint job can be had on the R nineT Racer with the obvious addition of the front cowl. The yellow and black continues on the cowl and it says “RACER” on it to let everyone know what kind of R nineT you’re riding. Finally, the R nineT Scrambler gets the same new color options as the R nineT Pure. The brown seat that comes on the Scrambler makes a bit of an odd contrast with these two new Option 719 colors, but it makes it stand out as the Scrambler along with other touches like different exhaust and suspension. BMW Motorrad is pretty good about making sure no two model years are exactly the same and these new color options are certainly helping to keep these bikes interesting.